Bouchet, Coffé, Gélas, Gérard, Gomez Ramirez, Grobert, Huel, Jacquot, Lacôte, Lambert, Laprévotte, Lupot, Maccaferri, Mareschal, Martin, Michelot, Olry, Ory, Pons, Renault & Chatelain, Saunier, Selmer, Serdet, Valance, Voboam. The contents is extraordinary both for the quality of the instruments and for the number of photographs of features and internal details, unpublished images collected by the authors over 35 years of their career. A huge amount of work has gone into this book, and the result is more than 500 photographs illustrating 54 instruments, some presented over four pages including radiographs of the sound box. 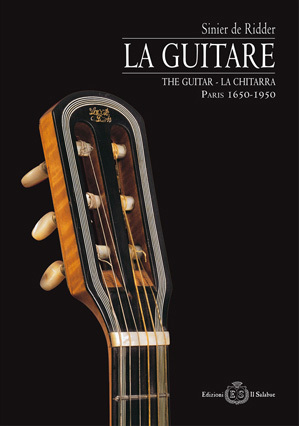 A work of undoubted interest for numerous guitar makers, musicians, collectors and enthusiasts.